If They did start selling This here one Day it would be Hard to Resist. My Pick of the Show. 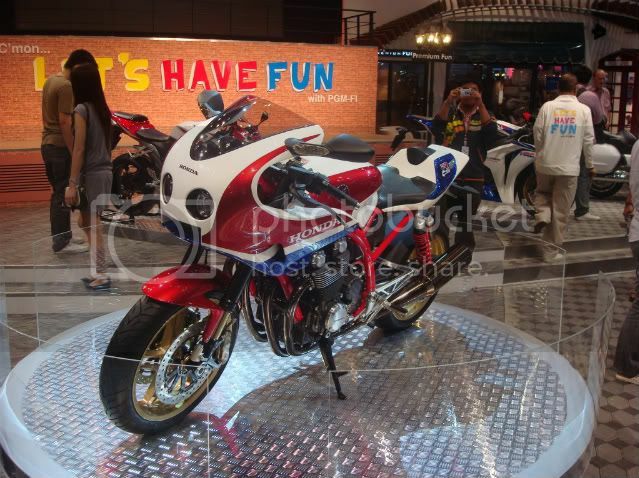 OK here are the Pictures of the New ER6f. I was Actually Surprised Just How Good it Looks as I wasn’t expecting it to be Better than the ER6n but Trust me in the Flesh it is a Glamour! 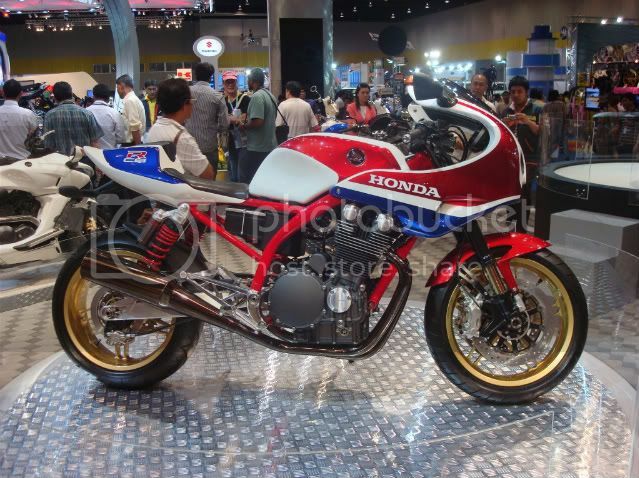 It has quite a few More Goodies compared to the n including ABS and of Course the Beautiful Front Lights and Fairing. Also a Totally Different Dash Board. It doesn’t look to much different from a FZ6 actually except a little More Compact. 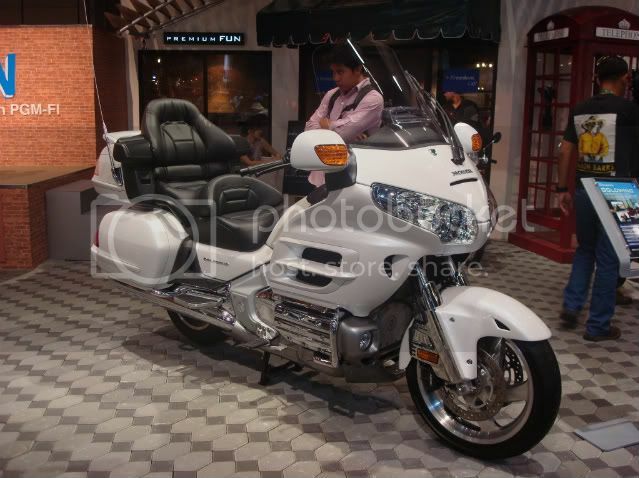 So for the Extra Cost over the n I think it is Worth the 280.000 Baht and it is Still Quite a bit cheaper than its nearest Rivals ! I think Both Colours are Nice Personally!!! 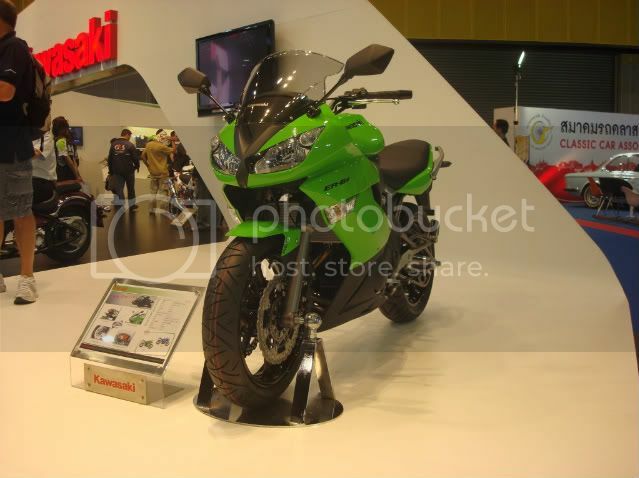 I am Sure we will see Plenty of these on the Road soon, Another Great Priced Bike from Kawasaki!!! 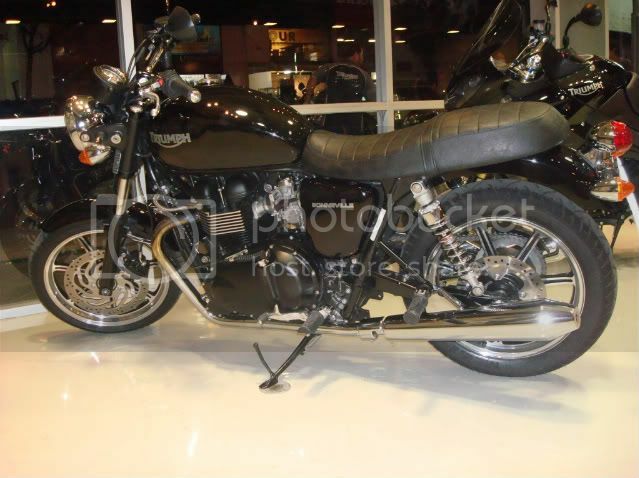 Another Great Looking Bike from Kawasaki. The New Vulcan 900 Custom. 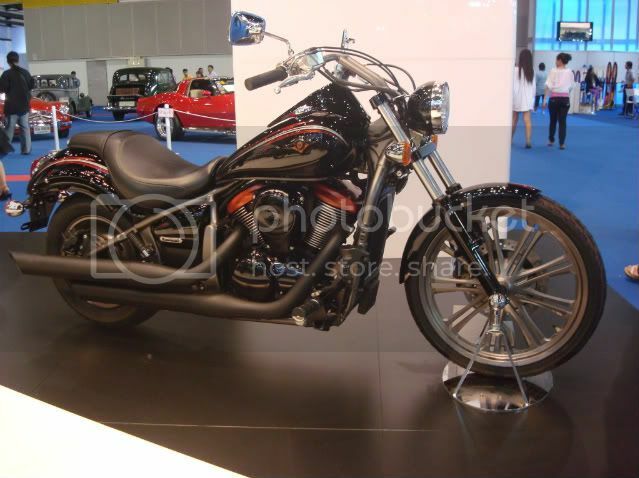 Very Sharp with the Blacked Out Look and the Bronzed Colour Highlighting This is the Special Edition, Price is 475.000 Baht. Standard Colour is Black & Chrome or Red & Chrome. OK if You want a Brand New Cruiser i suppose. Not Sure if we will see many of these as I haven’t Seen any on the Road Yet? 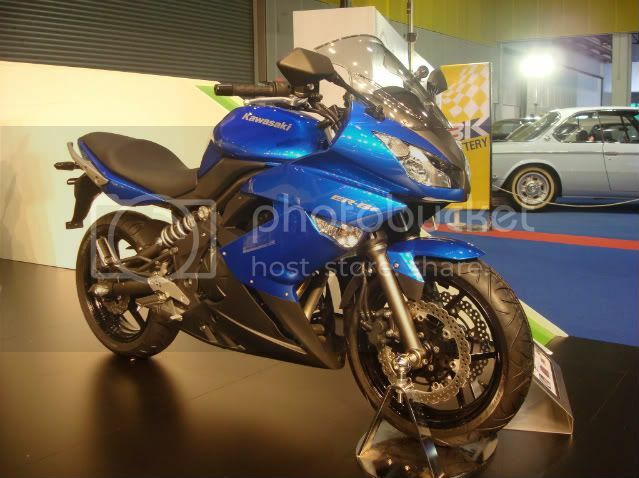 These Guys are also Planning to Enter the Market this Year with a Selection of Big Bikes ranging from the Burgman650 Scooter up to the Mighty 1340cc Hayabusa!!! After Checking Out the Motorshow with Simon and Steven I decided we should take a Quick Visit to BritBikes Main Showroom at RCA as I had never been there Yet. We had already had quite a Few Beers before arriving and we No Sooner Turned up and We had the First Class Treatment from Dom and His Staff !!! Beers were Offered and Not Refused and Lots of Advise was given and Questions answered for Me By “Dom” the Managing Director, “Asawin” a Director who is a Hell of a Nice Guy and a Fellow Tiger Rider. Also the Service Manager “Bonpitak” was very Helpful!!! Here is Dom Hetrakul together with Simon & Steve. Also a Nice Bonneville with Mag Wheels which I thought was quite Neat! We ended up having a Hell of a Night and not sure How many Beers!!! These Guys are Opening their Phuket Branch During Bike Week there in April so I wish Them All the Success Possible and I am Sure it will Be a Hell of a Party and No Doubt Simon and Steve will be there!!! Don’t Miss it if You get a Chance there are some Great New Triumph Models available and You might Just be Tempted!!! I finally Meet back up with Long in Khao San Road quite late and had some Dinner and Straight to Our Hotel and Bed! Next Day we were up and into action doing some Marketing. Khoasan is quite Famous, lots of Backpackers and Tourists from around the World all go here and hang around, Probably Why this was the First time I have ever been here!!! Anyway it has lots of Travel Agents and Counter Tours so we had a Successful day and made some Valuable Contacts so should see an Increase in Customers in the Future. Walked around at night Tourist watching which was quite fun and kind of relaxing to be alone with Long and No Kids!!! Next day Home again and back to Our Normal Routine!!! ← Previous Story Tiger Justice!!! Next Story → Closed 15th of April, “Songkran”!! !